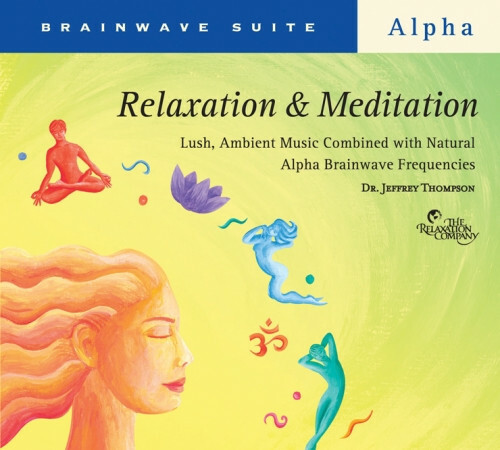 Guitar, flute, and nature sounds with alpha waves—for stress reduction and meditation. Simply play this uniquely soothing musical program in the background to enjoy states of rejuvenating relaxation and peaceful meditation—easily and naturally. Track 1: "Relaxation" contains light-to-mid alpha waves combined with guitar, bamboo flute, and sounds of songbirds and gentle breezes to lead you to a relaxed, yet very alert state of mind. Perfect for working, studying, reading, or anything that requires you to be sharp, focus—and relaxed. Track 2: "Meditation" contains mid-to-deep alpha waves mixed with an atmospheric musical soundscape and sounds of evening crickets to free your mind for deeper relaxation and meditation. Use as a stress-reduction and relaxation tool or to support any meditation practice.